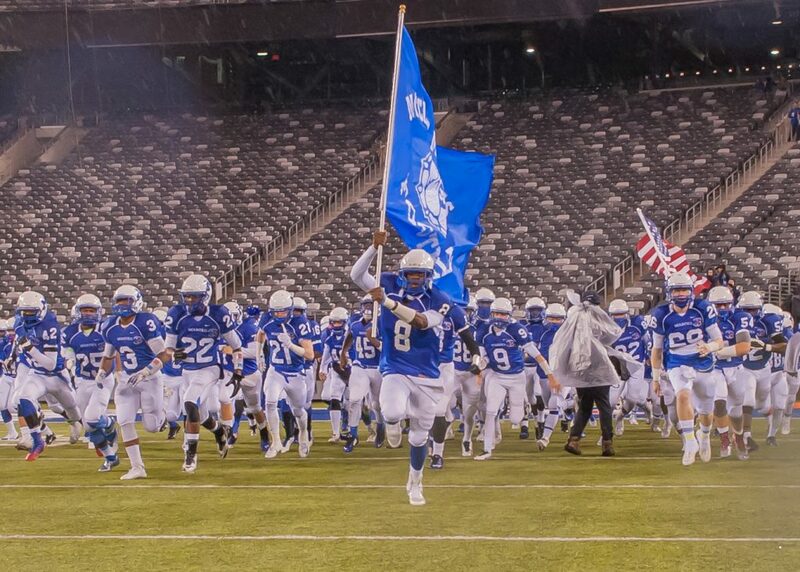 Montclair High Football to meet Union City at Metlife to settle the 2017 State Championship. The Montclair Mounties under the leadership of Head Coach John Fiore and Quarterback Tarrin Earle will kick off at 5:00 PM on Friday, December 1, 2017 at MetLife Stadium in Rutherford NJ to settle the 2017 State Championship. The community is encouraged to assemble at Woodman Field in front of the field house at 2:40 PM on Friday December 1st to send off the team as the busses depart for Metlife Stadium. Tickets for the event are available at MetLife Stadium: Adults are $9.00, Students/Senior Citizens are $3.00 and parking will be $12.00. After a two year hiatus, the Mounties have clawed their way back into the stadium. The team and their fans are ready. The Mounties can do this, but they need to hear the the fans cheer them on from the stands, they will need to see a wave of royal blue and white backing them up. The 2017 Mounties Quarterback Tarrin Earle and head Coach John Fiore are marching onto the field with a solid undefeated run of 11 wins 11-0-0. They will meet Union City 8-3-0. 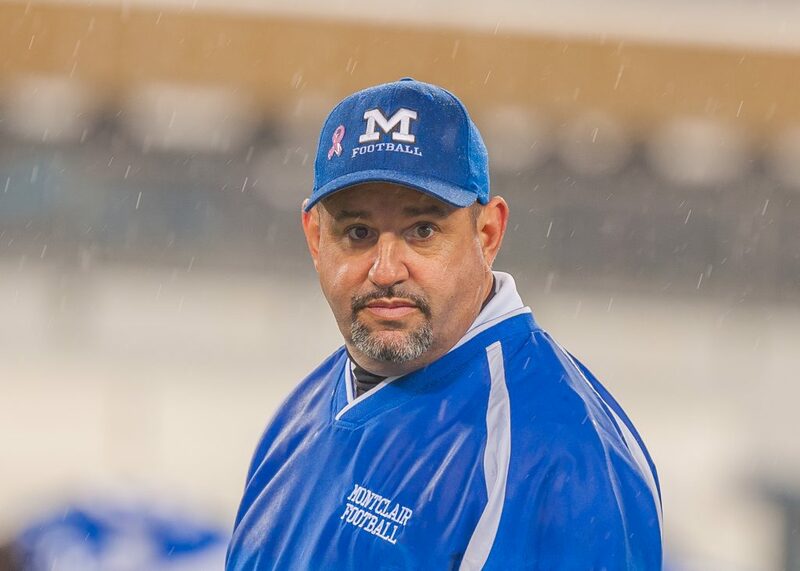 Montclair will field 22 seniors this season who have been working towards returning to the state championship since their last state championship win in 2014. 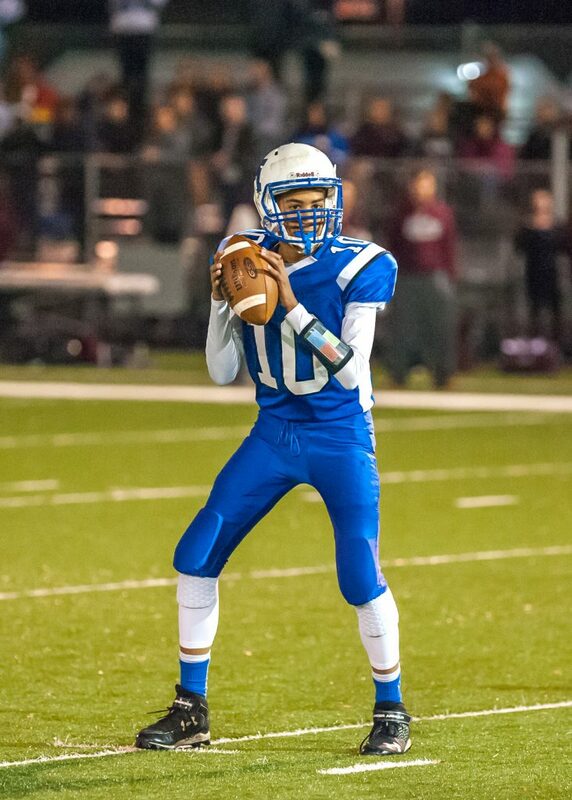 Quarterback Tarrin Earle  class of 2018, 6’3” will be eager to deliver for his community and for his family. Earle verbally committed to Bucknell University in June. Earle’s athletic prowess and natural leadership abilities are just the leading edge of this man’s abilities. Mr. Earle has earned a solid 4.5 GPA, 1,350 on the SAT and a matching 28 on the Achievement Tests. This Friday night, under the lights on the biggest stage in the state, all eyes and hopes will be on the quarterback and his team. The defensive line has been garnering much of the press this year but it will be points on the board that will carry the day. Fans are encouraged to show their support, MontclairMounties.com has instock team flags, fan flags and the ubiquitous Mounties Pom-pom hats. 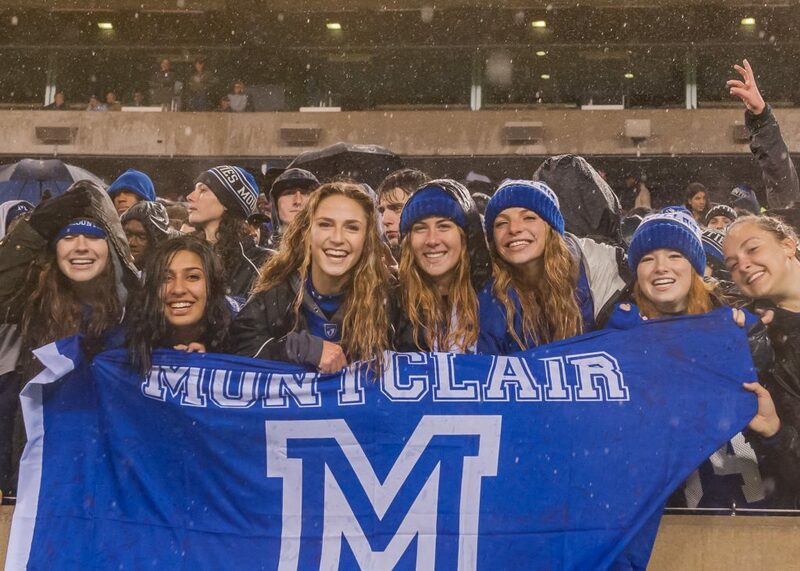 The Montclair Dispatch takes a Look back to 2014 and will be on hand to capture all the action on the field and in the stands at MetLife Stadium.